Andiamo - In the News! Record Reviews Andiamo ... Read the entire review here! For the last several years, you have voted us into the top spot in several categories in the 201.Net Magazine's Best of Bergen and we have come close to the top in the Best Italian Restaurant category until NOW! 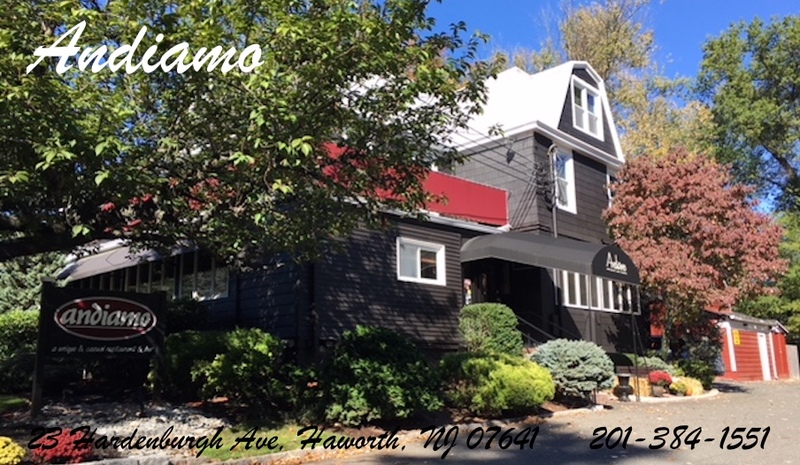 Thanks to the voting of our loyal customers Andiamo has been awarded the coveted #1 position as Best Italian Restaurant in Bergen County in the 2011 reader's poll. The news anchor, a native Chicagoan, has come around to Jersey thin crust from the deep dish of her home city. Photo by John Emerson as printed on-line at NJmonthly.com. Top 10 Alfresco Restaurants in North Jersey. Read the story and more! Recently, our owner, Don Dickstein, has been writing an article for a local area newspaper, the Northern Valley Press. articles (in PDF format) here after they have appeared in print in the newspaper. Restaurant 101: Reservations or not?